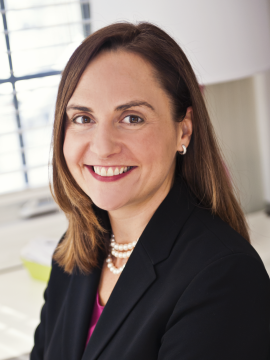 Ada-Marie founded The Law Office of Ada-Marie Aman after eleven years in private practice with a large law firm. Ada-Marie specializes in corporate and transactional work, business and employment law, and wills ,trusts and estates. Ada-Marie is admitted to the Virginia State Bar and the Georgia State Bar. Ada-Marie understands that her clients need a responsive, efficient and experienced problem solver. She places a premium on her personal relationships with her clients and they value her integrity, availability, effective communication style, and cooperative and creative approach to bringing matters to resolution. Ada-Marie is a native Virginian, and a graduate of William & Mary School of Law and the College of William & Mary. While in law school, she served as the Executive Editor of the William & Mary Bill of Rights Journal and was the recipient of the Thomas Jefferson prize for her published work related to legislation involving the First Amendment and religious discrimination. During the year after law school, Ada-Marie was selected for the U.S. Department of Justice Attorney General’s Honors Program where she worked directly for an Administrative Law Judge handling matters involving employment discrimination. In addition to her dedication to the practice of law, Ada-Marie is also committed to her community. She serves on the Board of Directors for the Junior League of Richmond and has been a League volunteer for more than 10 years. Ada-Marie is an active alumna of William & Mary, has served as a volunteer youth basketball coach for Upward Sports, and is a parishioner of St. Mary’s Catholic Church. In her personal time, Ada-Marie enjoys spending time with her husband and two daughters and running the roads of Richmond. Contact Ada-Marie, or call her at 804.467.1875.